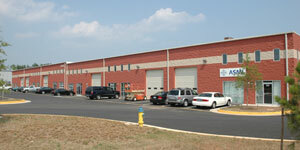 Cannon Branch Industrial Center L.L.C. 10381 Central Park Drive across from Watkins Trucking next to Simoes Concrete. City Hall and downtown Manassas is less than three miles away. The new Route 234 by-pass and Manassas Airport are less than two miles away. 4,000 sq. ft. to 12,000 sq. ft. Ample Parking on site, 4 spaces per 1000 sq. ft.